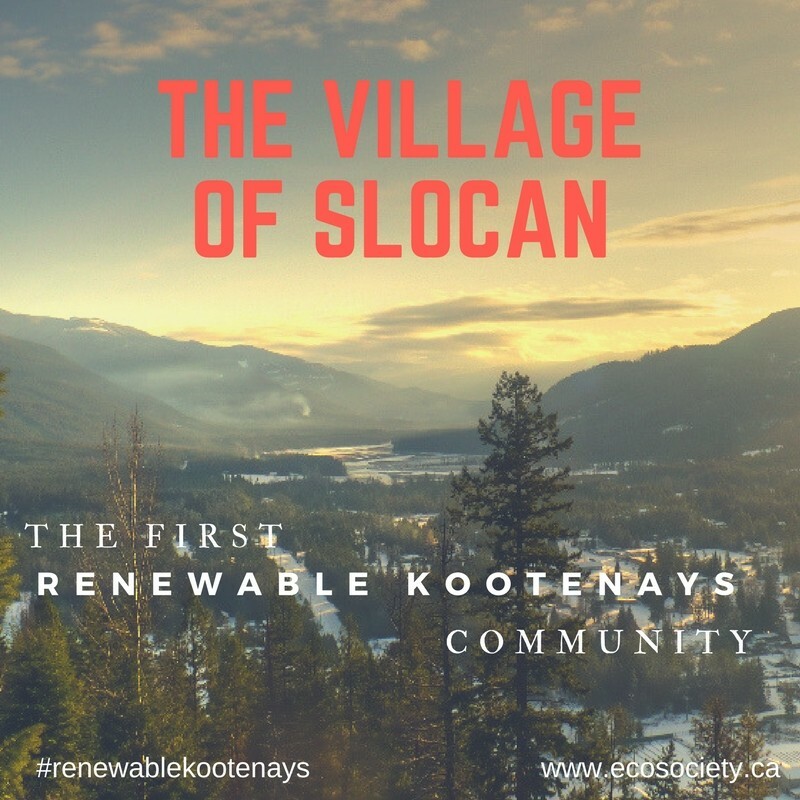 Congratulations to The Village of Slocan; the First Renewable Kootenays Community! The Village of Slocan have passed the motion to commit to transitioning off fossil fuels entirely by 2050, becoming the first community in the region to commit to the 100% Renewable Kootenays initiative. The Village of Slocan made the decision to commit to transition entirely to renewable energy by 2050. This is a huge win for the campaign and for our West Kootenay community. This makes Slocan Canada’s 5th renewable municipality, following in the footsteps of Vancouver and Victoria (who already have transition commitments) to become a green energy leader!